HaBa WaBa has become an internationally recognized waterpolo event for our young athletes. Growing across the globe, HaBa WaBa events now take place in Italy, Canada, Greece and Spain. In 2018, HaBaWaBa will arrive in Africa as HaBaWaBa Egypt. HaBa WaBa North America brings another festival in 2018, expanding for ages 6 – 14. We welcome our international teams for another successful year! The next event will take place from June 26 – 30, 2019 in Montreal, Canada. We will be back at beautiful Parc Jean Drapeau (outdoor event). 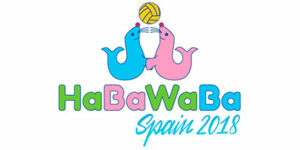 Internationally, the Haba Waba Festival is the most visible and important water polo event for children ages 6 – 14. We believe that it is the most important competitive water event dedicated to 6 to 13 year-old children in the world. It involves athletes, coaches, managers, fans and families. 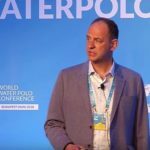 The event is aimed at the promotion of the sport of water polo and has spread all over the five continents, in connection with clubs and federations and recognized and sanctioned by FINA, LEN and other continental organizations and Olympic Committees. The Haba Waba International Festival it is considered by many people the “Little water polo players’ big Olympics”. The first-ever North American Haba Waba Event took place in Montreal over July 9-12, 2015. HaBa WaBa North America has grown each year, more professionally and competitively, inviting more teams from around the world. We’ve had teams from Canada, USA, Mexico, Barbados, Hungary and Taiwan. We’re getting ready for our fourth edition of this great festival! Haba Waba is the only opportunity for 6 to 14 year-old children to participate in a competitive water sport focusing on play and fun. Three categories: 14U (born 2004), 12U (born 2006) & 10U (born 2008). 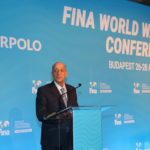 HaBa WaBa North America is officially recognized and approved by FINA and partnered with the CANADIAN OLYMPIC DAY.